If the latest videos from Ankit Love seem a little rawer, a little more urgent, and maybe even more abrasive than anything he’s ever done before, there’s a pretty good reason for the change. The rapping Kashmiri prince and former candidate for Mayor of London has been through plenty since he shook up the UK rap underground with the hedonistic “Electric Lightning Lady” in 2012. 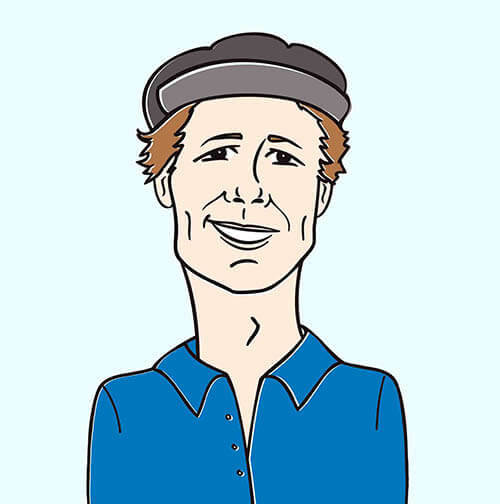 His start-up, techno-progressive One Love party made an impressive showing in the 2016 race to run the UK’s biggest city, end the air pollution pandemic and unite the planet, surprising mainstream journalists and politicians alike, and demonstrating that a citizen with energy, imagination, and creative ideas can go toe-to-toe with the establishment. Then, after the Leave vote, Ankit Love, having lost all, left Britain in frustration – and found himself with nowhere to go. For a time, he slept on the beach in Ibiza, which wasn’t quite as glamorous as it might initially sound. He was completely broke and homeless. But a person as resourceful as Ankit Love can never be kept down for long. He worked at clubs; he hustled real estate in Portugal; broke free from a psychiatric prison; rescued supermodel Anna Duritskaya in Barcelona; and, as the UK reconsiders its Brexit decision, he’s mounting a triumphant return to the capital city he once sought to govern. Love is back with the salacious “London Party ¢ity,” and a heartfelt cover of the 2Pac classic “Only God Can Judge Me,” and he’s destined to reclaim his place as a paragon of adventurous, multicultural London hip-hop. “London Party ¢ity” is, like “Electric Lightning Lady,” a club anthem. However, it’s also a record with a genuine pugnacious spirit – and it wouldn’t have had the confrontational feel that it does if Ankit Love hadn’t fought to improve his city and keep his country in the world community. The EU flag that flashes on the screen during the “London Party ¢ity” clip isn’t just for show: it’s a rallying-cry for cosmopolitan Londoners looking to save Britain from disengagement. 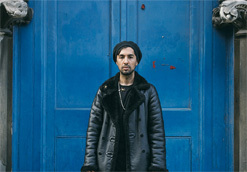 Ankit Love shot the clip for the song on a deserted corner in Shoreditch, one of the grimiest and most vital neighborhoods in East London. Flanked by a pair of hip-looking Ukrainian women, the rapper takes his stand on the sidewalk, staking his claim to London and taking all comers. If that isn’t enough intensity for you, we’ve also shared the clip for “Only God Can Judge Me.” Here, the artist, shirtless and bold, addresses the camera directly. While in Hamletian fashion, he clasps a baboon skull dipped in liquid precious metal, lent to him by lauded South African conceptual artist Ambra Gambale. The charged clip intersperses performance shots with footage taken directly from the news. It contains strong images pertaining to the potentially nuclear armed conflict for Ankit Love’s home state of Jammu and Kashmir, the word’s most militarized zone, and once labelled by a US president as “the most dangerous place in the world.” It’s a missive straight from the eye of the storm. We’re delighted to work with Ankit Love once again! Please let us know what we can do on our end to help secure spots for “London Party ¢ity” and “Only God Can Judge Me” in your beloved programming and online presentations, or if you’d like us to send some merch for on-air contests and giveaways. Check out his prime time interview on ITV London News here. Contact Andy Gesner the HIP Video Promo team at (732)-613-1779 or email us at info@HIPVideoPromo.com. Visit www.RoseCosmos.com for more info on Ankit Love. For info about other Ankit Love videos, click HERE.